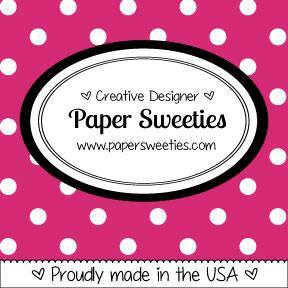 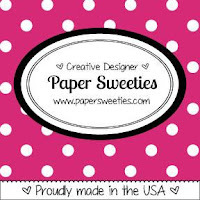 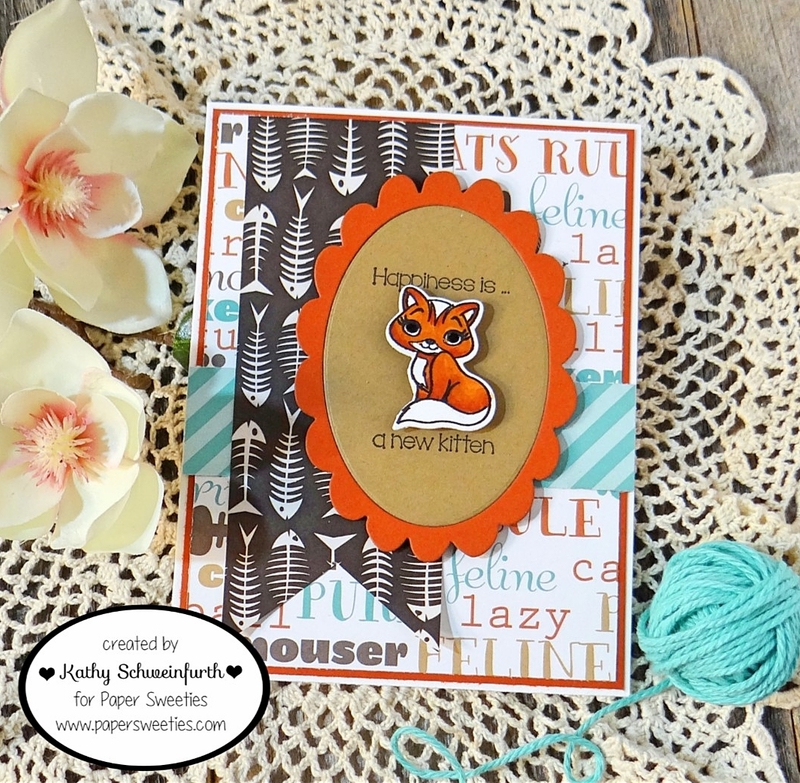 Today my card features the sweet little feline in the Sweeties Pets set. 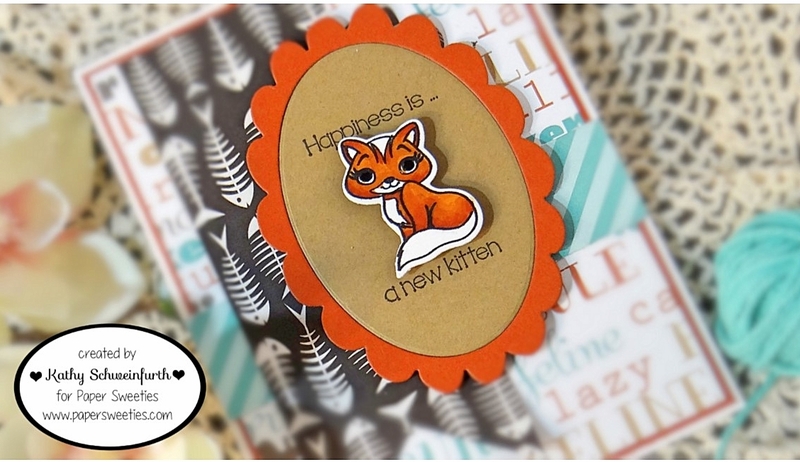 I was so excited to have found this pattern paper in my stash - kitty cuteness - which I layered onto the base! 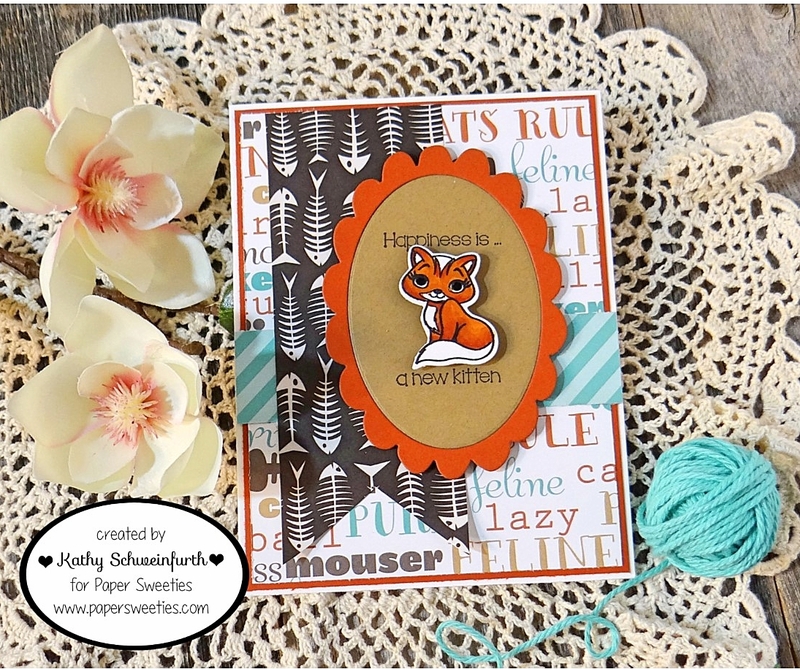 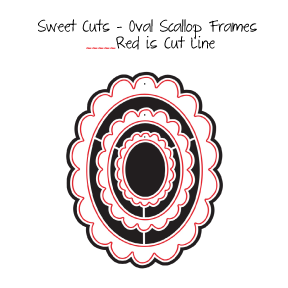 I then used the Oval Scallop Frame die and popped up the copic colored kitty.